Here's the U.S.' first curbside DC fast charger in the flesh. 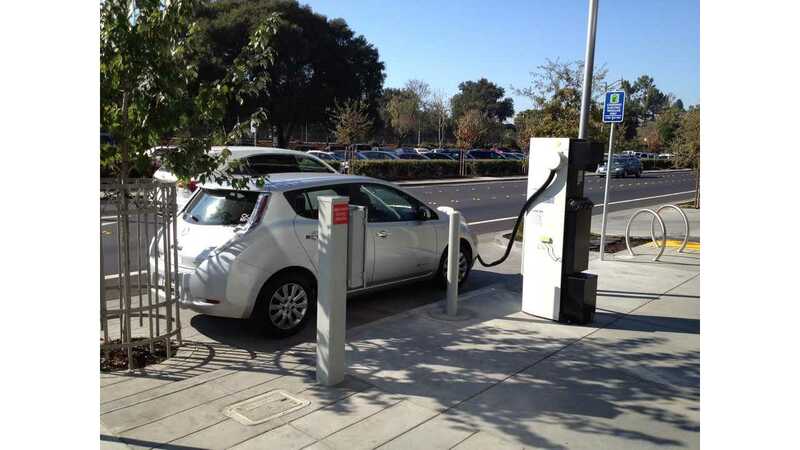 Here's the photos I took at the quick charger near SurveyMonkey's HQ. The cable's kind of short for the Leaf, but I'm just glad it was there - I pulled in at 0%! 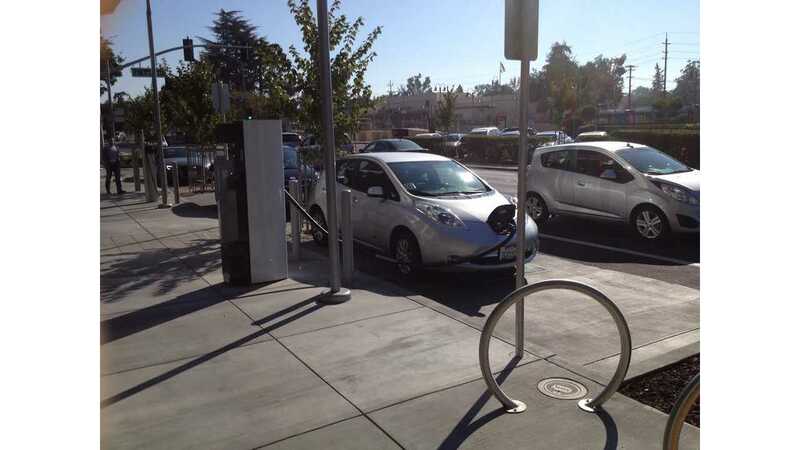 Palo Alto, California has officially become home to the state’s first-ever curbside DC fast charger. 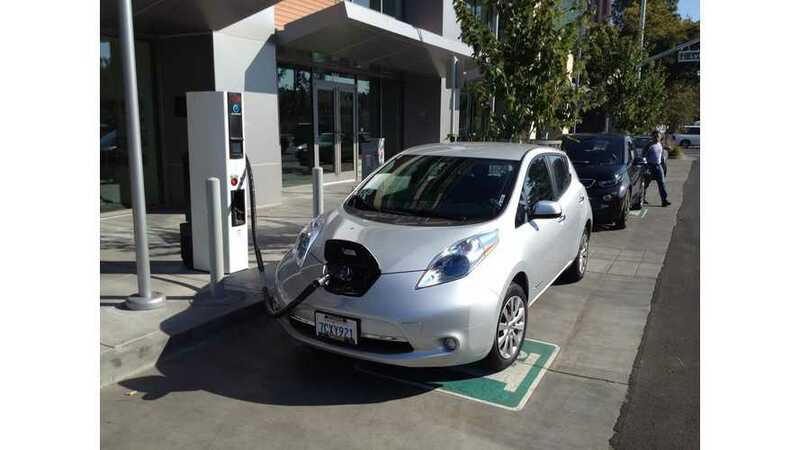 Nissan tell us that the unit is CHAdeMO-only (notice the Nissan LEAF grabbing some juice) and that it’s a Nissan-donated DC charger (props to Nissan again for its continued effort to support the EV charging infrastructure rollout).